Terra Firma Brands has earned a reputation for representing world-class wines, craft beers and spirits successfully through the LCBO. We represent our clients to the Liquor Control Board of Ontario (LCBO), the largest purchaser of beverage alcohol in the world, which retails to consumers and restaurants. Terra Firma Brands prides itself on providing our clients the exceptional knowledge and resources to not only get their products on LCBO shelves, but to make sure customers walk out with them. Terra Firma Brands submits proposals through the LCBO New Item Submission System (NISS) for a product to be considered for sale through LCBO retail stores. In an average tender there are 1000+ submissions vying for 40 – 50 product slots. Because the LCBO receives significantly more new product submissions than they can merchandise, competition is extensive. In each case, the product is evaluated by the respective category manager – considering quality, price, value, packaging and marketing plans – before a decision is made about purchasing. Once the LCBO decides to purchase a product, we, as your agents, stay on top of how your products are selling in each market area. Why Terra Firma Brands for Your LCBO Representation? The Terra Firma brands team, led by Nick Hirons, is respected across all industry groups. We offer the expertise you need to feel comfortable that your products stand the best chance of getting on the LCBO shelves. 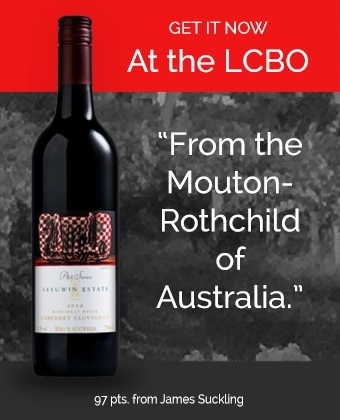 We have an excellent reputation with the LCBO Retail Team – including the Regional Director, District Managers, Store Managers, and Product Consultants. This enables us to communicate transparently and discuss brand opportunity with directly with the decision makers. Our team consistently follows the sales performance of each of our brands, including length of time in market and percentage sell-through by the end of the third month. With over a decade of experience in this business our team are experts in LCBO procedure, ensuring that all deadlines and protocol are adhered to. At Terra Firma Brands, we are experts in helping you promote and grow your wine or craft beer brand in the intensely competitive LCBO (Ontario) market.